It’s your lucky day, because today’s episode is like a two-for-one extravaganza. Hey, we live to give. 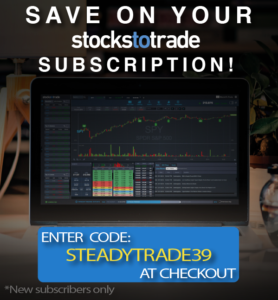 First, you’ll get an update from Team Bohen on the SteadyTrade Paper Trading Challenge. How is Tim’s team stacking up to Stephen Johnson’s team? Second, an unexpected surprise. The SteadyTrade team has unearthed a hidden treasure: several listener questions that were thought to be lost during a computer crash. Listen up to hear Tim and Stephen’s answers to your trading questions! Note: Be sure to check out this video on YouTube to see all the charting action discussed with Team Bohen! DJ: It’s been a great month of growth for DJ. He made $1,800 right away, and quickly got himself over the PDT. He explains how he made it on shorts with an overextended gap down (something that has been running or had a big day before and you see it’s gapping down the next morning). You’ll learn how he got the hang of this “Tim Grittani-style specialty” and profited handsomely. Note: You can check out his trading updates on YouTube! Cara: For the first two weeks of January, she didn’t trade at all, but talks about the trades that she did finally take after her watchful waiting. Were they worth it? This leads to a conversation about the benefits of embracing the flexibility of trading. Should traders be active at all times? Tim and Stephen weigh in. What are warrants and offerings … and why do they matter? Tim and Stephen offer up a helpful primer on warrants and offerings and what they mean for traders. Should they be part of your strategy? Tim offers cautions for why you can’t always trust warrants offered at discount, and offers advice for when it’s unwise to get too bearish too soon. You’ll also find out how to figure out if there are outstanding warrants! When it comes to swing trading, what do you look for in a chart setup that makes for a good swing trade? It’s hard to find a perfect-without-a-doubt setup in trading. Rather, you need to build a strong case for your trade in the face of so many unknowns. Tim explains what he looks for in a great swing trade, including earnings wins, 52-week highs, breaking out on the intraday chart, and hot sectors. Can you give advice about how to get into positions that will grow your account and improve your trading? Tim and Stephen address the common phenomenon of FOMO among new traders, and how it’s so important to keep your focus very narrow, especially when you’re first starting out. How can I improve an overnight gap-up strategy with charts and Level 2 quotes? This trader has been working with an overnight gap-up strategy in the morning with stocks that spiked up the day prior, hold highs, gain momentum toward closing, and go up after-market. However, trades haven’t been going his way, and he wants advice on how to better know how a stock might perform. As Tim says, “You can’t know anything in the markets, all you can do is manage your risk”. So how to manage that risk? Tim and Stephen offer up different tips, like asking yourself: How strong the catalyst? How big is the breakout? How many shorts are underwater? Do you have a question for Tim and Stephen? Leave a comment below, or via YouTube or the blog. We want to hear from you! 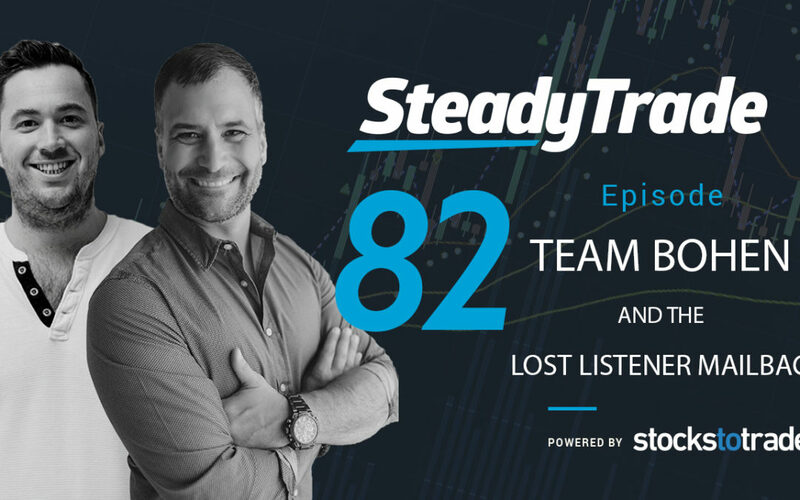 Thanks for tuning in to the SteadyTrade Podcast. Stay tuned for new episodes every week, featuring the hottest topics for aspiring traders! Hey guys, I couldn’t see this video episode 82 on YouTube, I’m not sure it has uploaded.